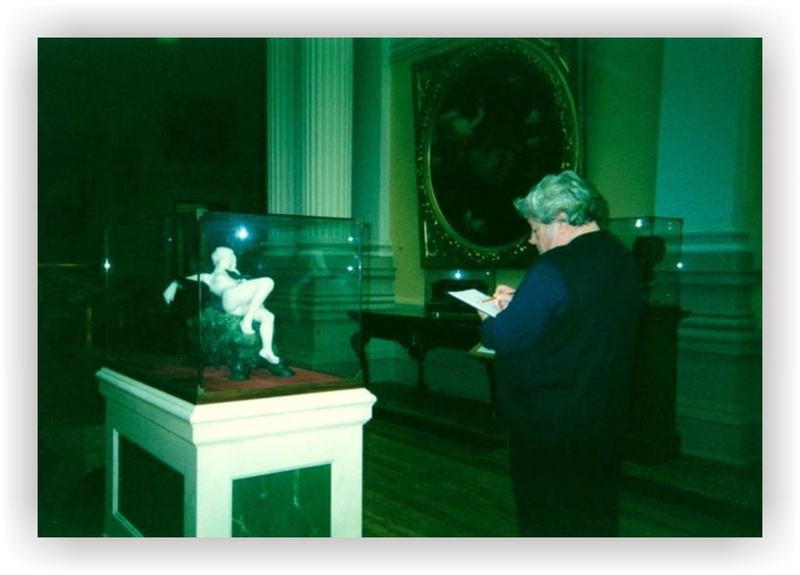 Peter Robson has drawn the attention of art lovers from across the region and internationally for more than 30 years. 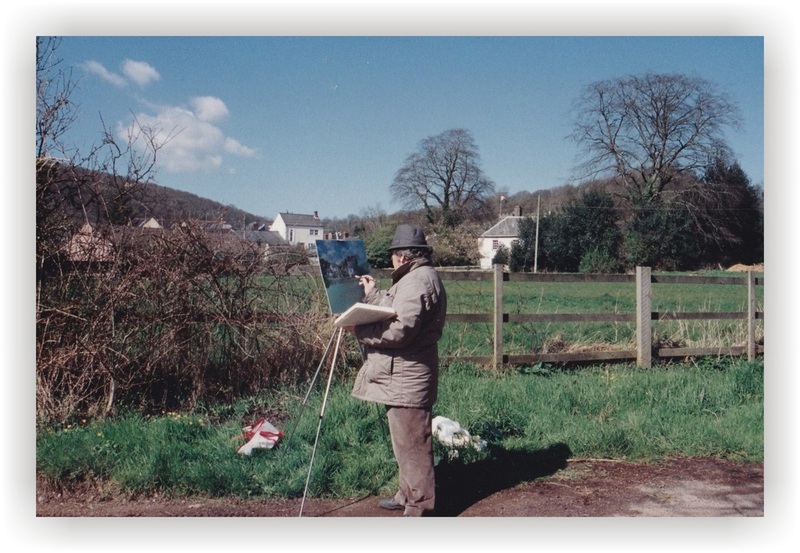 Plein air painting-St. George, Ont. which is part of the 'David' piece. 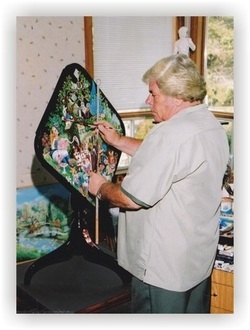 The limited edition is "Summer Reflections"
Moving to Canada in 1966, Peter became a resident of Southwestern Ontario, locating in the quaint, historic hamlet of Sparta for the past 30 years. Passion for Peter's studio and original art is a family affair that includes Peter’s wife Eleanor and son Steven, who proudly display Peter’s paintings, limited edition prints and sculptures at the gallery. 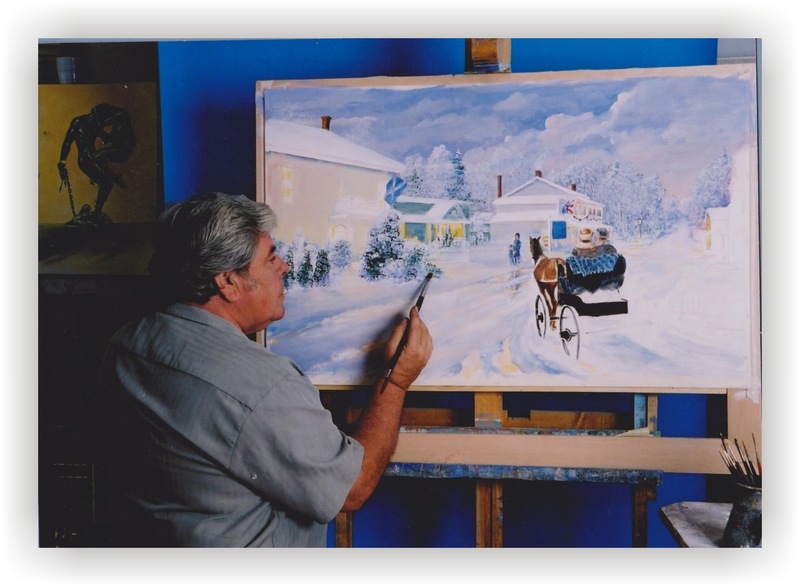 The popularity of his original paintings has gained him recognition across Canada and internationally in both private and corporate collections. It is with great sadness that we announce the passing of Peter Robson on Saturday, May 17, 2014. 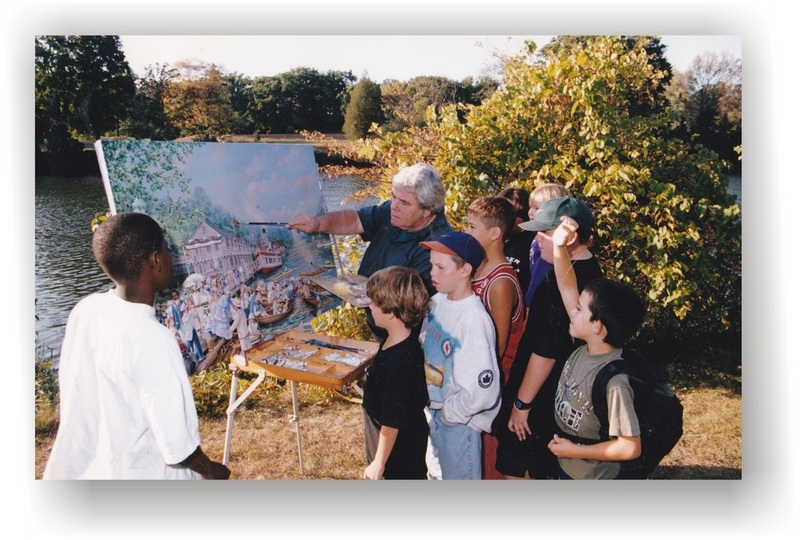 Peter's legacy lives on through his family and his lifetime of artwork. 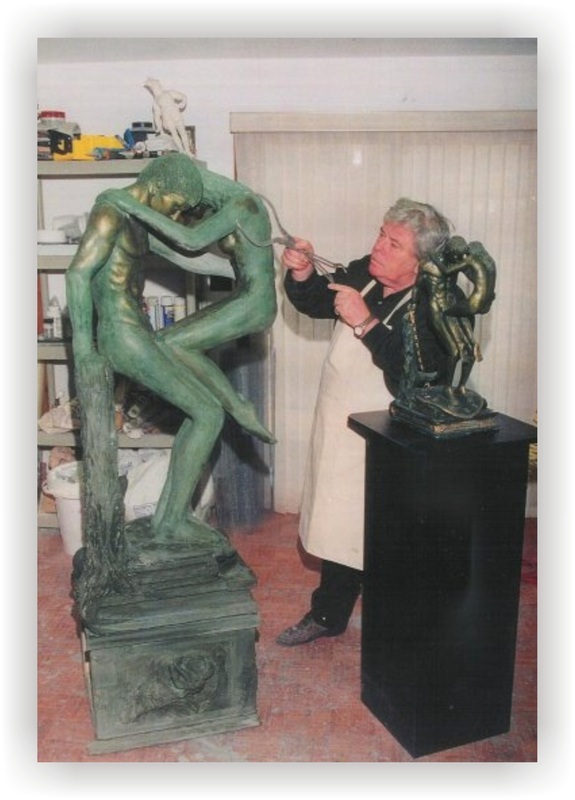 The Studio is open and will continue to bring the pleasure of his art to future generations who visit his Studios in Sparta. Well known and highly respected, Peter Robson Studios has the capacity to customize an art program of any size for charities or businesses with existing prints or by special commission. A complete state-of-the-art custom framing center is located on the premises. Peter's working studio showing his last commission painting just commenced. In this over head photo note that on the counter on the left side of this photo is the 1st phase of 'The Sword in the Stone' sculpture. Peter putting the finishing touches on a smaller version of 'Timeless Embrace'. 'the Release' sculpture in its early stages. "From coastal scenes, to a farmhouse enveloped in a snowy countryside, to landscapes of the imagination derived from mythology - all of these have a quality - of a timeless, yet living motion- that will be found consistently in the paintings of Peter Robson." merely paintings which deal with Nature as a reflection of the human mind. To me, the paint on my brush flows unpredictably, sometimes beautifully, as do these reflections." He brings his vision to all of these things. And with his brush, he will live forever."